adults alike! 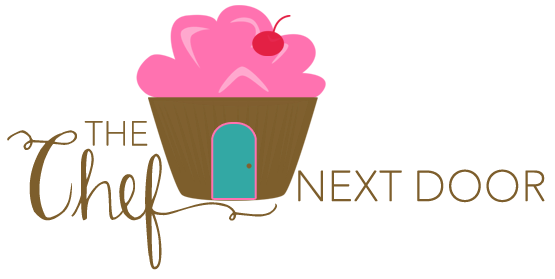 And fair warning, you may want to make a double batch because they will be gone in no time! How many people here grew up eating Keebler® cookies? *Raises hand really high* Come on now, don't be shy! It seems like we always had Vanilla Wafers around. Whether it was just to snack on, or in my mom's banana cream pudding, those were one of my favorites. Keebler® Fudge Shoppe® cookies were another favorite. I could eat the Fudge Stripes™ and Deluxe Grahams all day long! Of course since I grew up eating this gems I had to pass that tradition on to my kids, and I know they love Keebler® cookies just as much as I do. 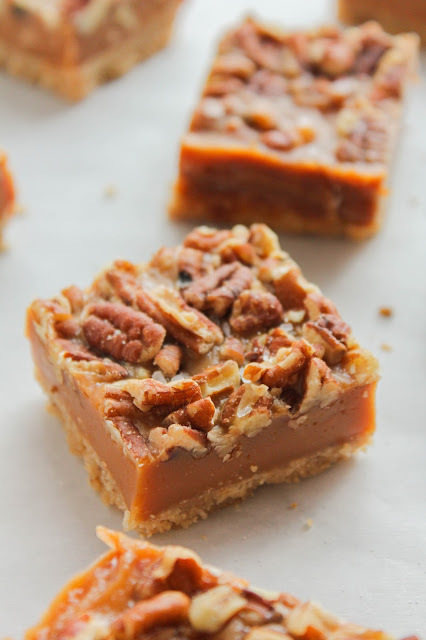 I was trying to come up with a new and fun dessert for a get together recently and decided to make some bars. Bars are so easy to make, plus they are portable and travel really well. 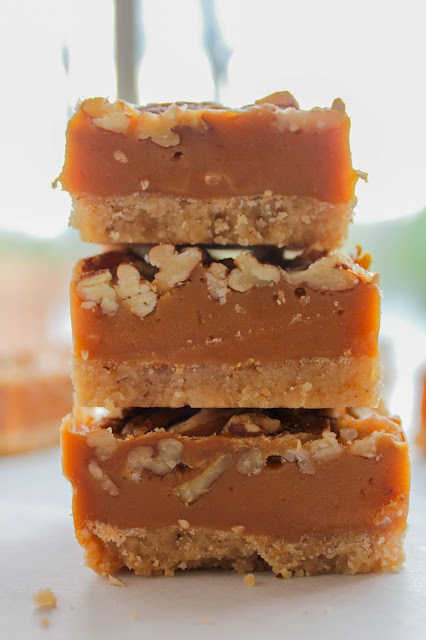 After a considerable amount of thinking over flavors and combinations, I came up with these Salted Peanut Butter Shortbread Bars. 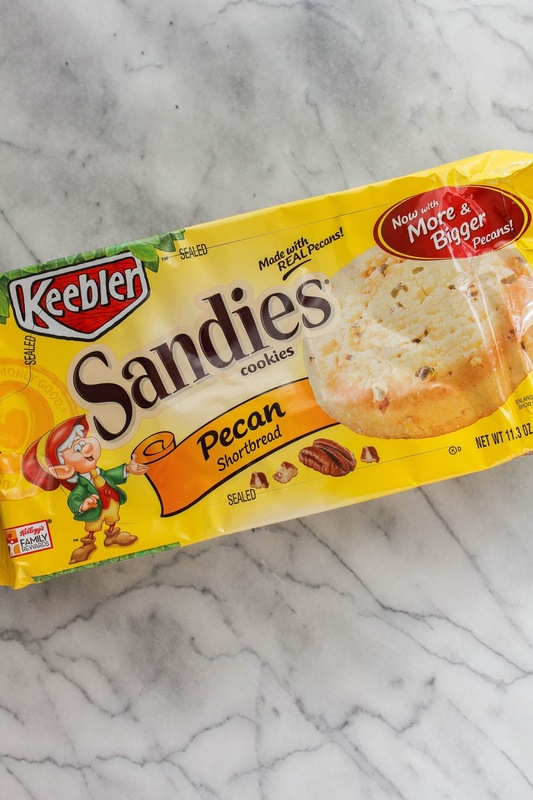 Made with Keebler® Sandies® Pecan Shortbread Cookies, they are rich and creamy, sweet and salty, and downright delicious. 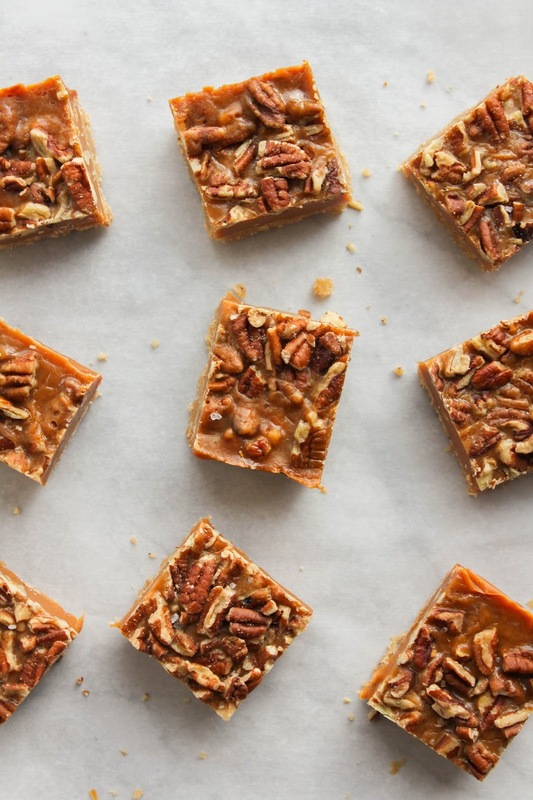 A buttery shortbread crust is the base, followed by a thick and gooey peanut butter layer, then topped with chopped pecans and a sprinkle of kosher salt. It's the ultimate flavor bomb! 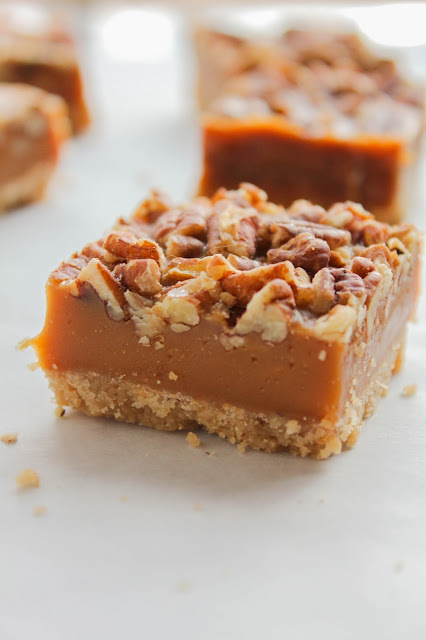 These Salted Peanut Butter Shortbread Bars are sure to be the hit of your next potluck or party. My family and friends grabbed them up so quickly that I had to hide one in my bedroom just to savor it for myself! And yes, I'm a bit ashamed to admit that. Preheat the oven to 350 degrees. Place a sheet of tinfoil inside an 8- inch square baking pan, large enough to have an overhang on two ends. Spray the foil with non-stick baking spray. Combine the cookies and melted butter in a food processor and pulse until the cookies are fine crumbs and like the consistency of wet sand. Press the mixture into the prepared pan and bake for 10 minutes, until the edges are a light golden brown. Remove from the oven and set aside. In a small saucepan, combine the peanut butter chips, honey, butter, cream, and vanilla. Cook and stir over low heat until smooth. Spread the mixture over the crust evenly. Sprinkle the nuts on top and press down gently. Bake for 10-12 minutes, or until the topping is bubbly and lightly browned. Remove from the oven and immediately sprinkle with a bit of the salt. Allow to cool on a wire rack completely. Using the ends of the foil as handles, remove from the pan and cut into bars. I found everything I needed for this delicious dessert at my local Kroger store. They have a great selection of Keebler® cookies, too!